This listing is for one pair of Bali chandelier earring findings for jewelry making. These connectors were imported from Bali, Indonesia. The earring connectors come in either oxidized sterling silver or bright gold vermeil. 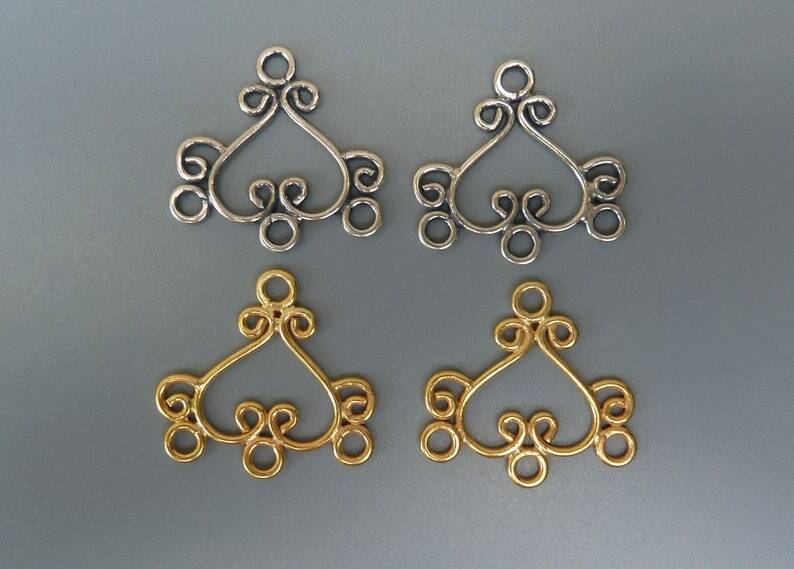 There are 4 rings on each earring which give you many choices for embellishment. Because these Bali findings are individually handcrafted, there may be slight variations in size, weight and oxidation.